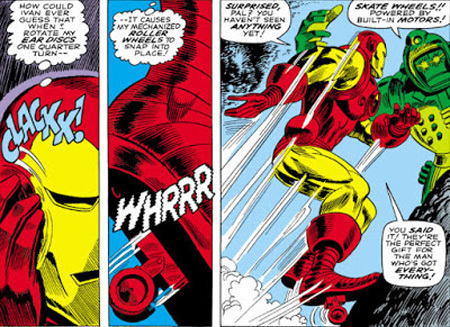 In the comic books, Iron Man enjoys rollerskating. 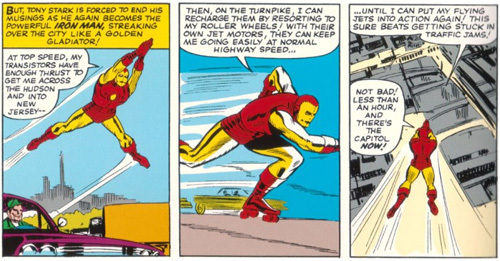 Not inline skates even, but good, old-fashioned quads. This was not a one-time thing. 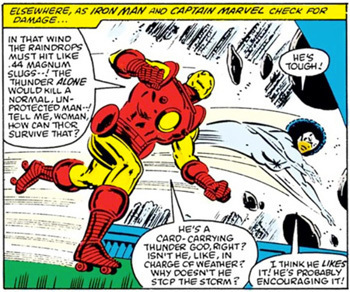 It was an established feature of the armor that appeared in many comics and subsequent cartoons. This entry was posted in Famous people on wheels, Uncategorized on September 21, 2014 by stern. 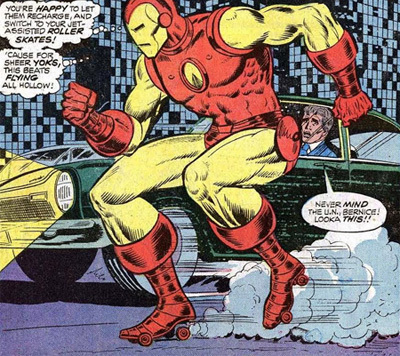 When he’s not busy fighting crime he can play the lead in Starlight Express.